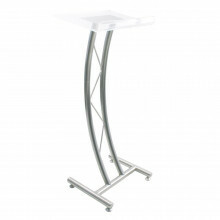 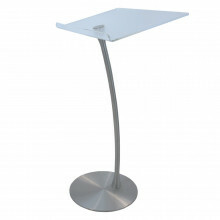 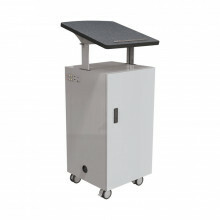 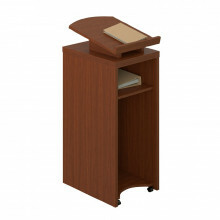 Amplivox curved tress acrylic lectern provides a comfortable and functional worksurface for presentations. 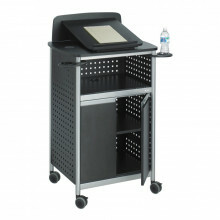 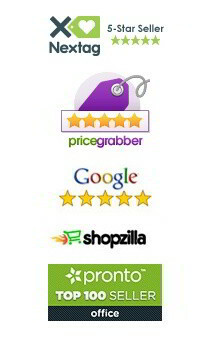 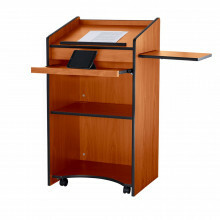 Balt 27694 Trend teacher's mobile podium offers a long-lasting PVC top with a cherry finish. 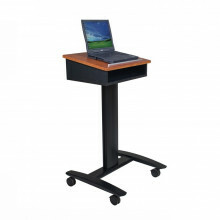 Durable steel frame for long-lasting use. 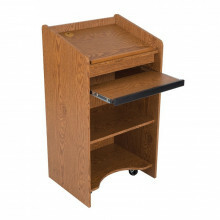 Adjustable interior shelves provide added storage. 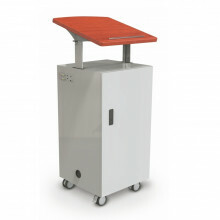 Swivel casters allow smooth mobility. 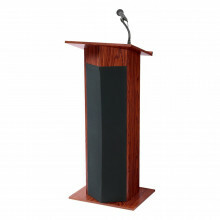 Dimensions: 25" W x 24" D x 44.75" H.
Amplivox steel column arc lectern provides a comfortable and functional worksurface with anti-refelctive film for presentations.